Yoga for beginners and experienced Yoga students and everyone in between in the 2nd Yoga studio of Worcester City Centre at St Swithun’s The Trinity. This large studio is an ideal place to practise yoga in the heart of the city. If you already have a yoga practise but are unfamiliar with Pranayama (Yogic breathing techniques used to cleanse, detox and balance the hemispheres in the brain) then this is the perfect class for you. 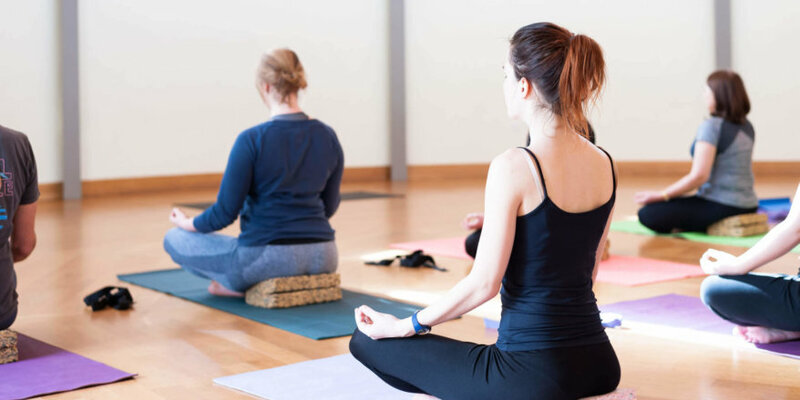 Dont worry if you are new to yoga as each class is tailored to suit different levels of experience from complete beginners to advanced yoga students. You will experience the benefits of proper breathing techniques such as deep abdominal breathing and alternate nostril breathing (anuloma viloma). The breathing techniques will progress to include Kapalabhati breathing. Options are given to individual students who may struggle with the more advanced breathing techniques until they become familiar with them. The postures are tailored to suit all levels, and so you would take the higher or lower option depending on how you feel on the day. This class always ends with a guided relaxation of 20 minutes. Yoga 7 runs classes each Tuesday throughout the year, so don’t let the school holidays be a reason to interrupt your practise. Mats, blocks & straps are provided free of charge. Parking can be found at the back of the building and opposite though free parking is limited. There are plenty of public car parks around and Asda is a popular choice of parking for this venue.